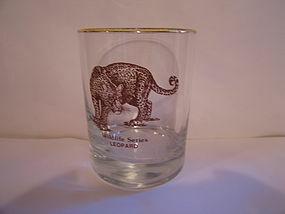 There is no manufacturing information on this glass. The graphics are brown. There is a gold trim on the rim. 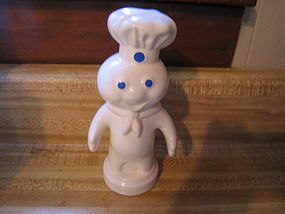 It is 4 1/4 inches in height and holds 12 ounces. Very little sign of use. I need your zip code to calculate the postage. 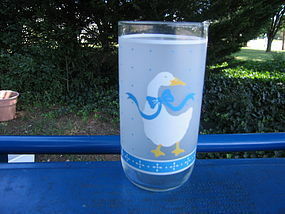 This glass was part of the "Blue Goose" craze of the early 1990's. I've heard this finish called paraglazed or frosted. This the large size which measures approximately 6 inches in height. It has very little sign of use. Five (5) are available and priced individually. I need your zip code to calculate the postage. 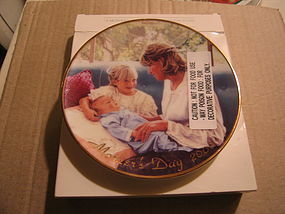 Avon Mother's Day "Pride and Joy" plate for 1999. It measures 5 inches in width. It comes with the original packaging and display stand. There is no damage. The 2000 version is available for purchase. I need your zip code to calculate the postage. 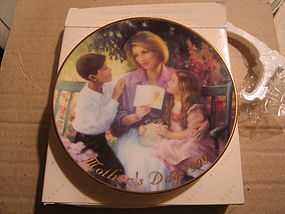 Caucasian version of "A Mother's Love" 2000 plate by Avon. It is approximately 5 inches in width. It comes with original packaging and display stand. At first, I thought there was a manufacturing flaw in the gold script at the bottom, but after looking with a magnifying glass, it is just the way it is made. It is an unused condition with the sticky label still on the plate. The 1999 version is available for purchase. I need your zip code to calculate the postage. 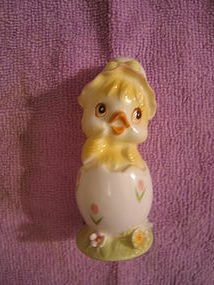 Vintage ceramic back dated 1985. 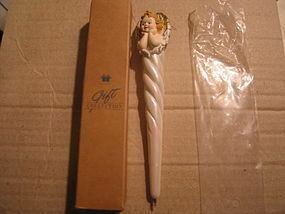 It measures 7 1/2 inches in height. Has the original red plastic stopper. 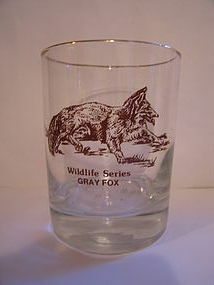 There is no damage, although the unglazed bottom rim shows slight roughness. 2 banks are available and priced individually. I need your zip code to calculate the postage. 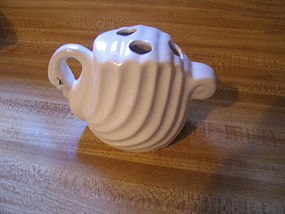 Vintage white ceramic toothbrush holder from a bath set by House of Lloyd. It measures 6 1/4 x 3 7/8 x 3 inches. A photo of original box and matching soap dish is available for identification purposes. It has never been used and shows no damage, however, there are several manufacturing flaws. I need your zip code to calculate the postage. 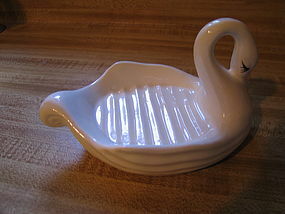 Replacement ceramic soap dish to vintage House of Lloyd bath set. The dish is coming from a unused box set. It measures 6 3/4 x 4 1/8 x 3 3/4 inches. 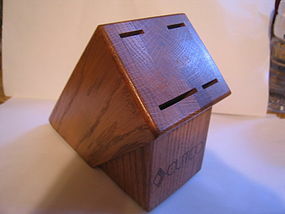 For identification purposes, a photo of original box and matching toothbrush holder is available by email. I need your zip code to calculate the postage. 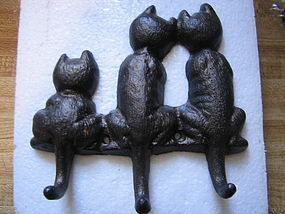 House of Lloyd cast metal hanging key holder with 3 cats. The tails form the hooks. It measures 5 3/4 x 5 1/4 inches. The inside is embossed HOL 1998 (date of manufacture). It has never been used and comes with original screws and packaging. The box is included, however, there is considerable wear and writing on the front. The true color of a deep bronze is showing as black and will attempt to get a better photo available. I need your zip code to calculate the postage. 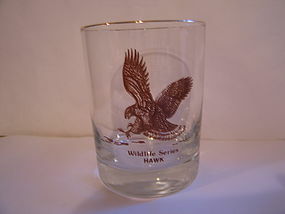 Not sure if this is old enough to be considered as vintage. 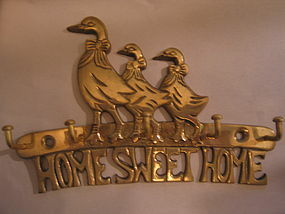 The box is labeled as Brass Geese Family Key Holder Solid Brass. 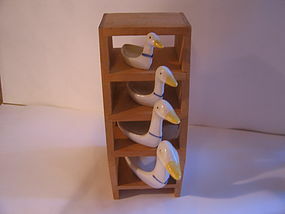 There are 3 geese and Home Sweet Home forms the lower portion where 5 hanging hooks are attached. It measures 6 x 4 inches. The original screws are included. It has never been used, but has a small amount of age tarnishing. I need your zip code to calculate the postage. 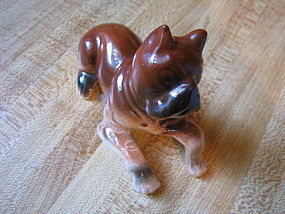 I do not know if this vintage dog shaker is salt or pepper, but has four holes. 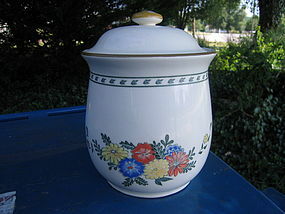 There is no manufacturing information, but style looks like older Japan production. It measures 4 1/4 x 2 3/4 x 2 inches. The underside is not glazed and there are some small rough areas. 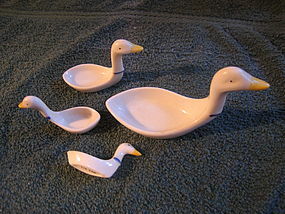 There are many manufacturing flaws (normal for pieces manufactured in Japan at that time period). I need your zip code to calculate the postage.